Silos Córdoba was founded in 1975 by Juan López Liétor, with the goal of meeting the needs of Spain’s livestock sector by providing grazing and storage solutions. Until the early 1990s, the Company was focusing solely on the domestic market. But in 1994, Liétor’s son, Juan López Regalón, decided that Silos Córdoba should expand to overseas markets as a way of strengthening its business. As a result, the Company experienced significant growth and for the next few years, became an award-winning Company, which was recognised as “best export company” and “best entrepreneur in foreign markets”. Silos Córdoba went on to establish its own T&D department, which led to various innovations that were developed, tested and implemented into its technologies. Among these is a new range of chain conveyors and bucket elevators as well as the SIWA remote plant monitoring system and WINGRAIN plant management system, said Pablo A. Fernández, global sales director of Silos Córdoba’s grain storage division. In 2016, Silos Córdoba bought MGN, an engineering and manufacturing Company for feed mill projects. Currently, the Group is made of six different companies, including Silos Córdoba (bulk storage division), Matra (handling equipment division), Gandaria (livestock division), GER (climate control systems for livestock), MGN (feed mill division) and Quinta Metálica (metal cladding). Please tell us more about your silos and handling equipment business. The world population is still growing and needs to be fed. So the best option to keep cereals and grains out of damage by fungus, moulds, fermentation, insects and rodents is using silo technologies. International institutions like the UN’s Food and Agriculture Organization (FAO) are recommending the solution worldwide. 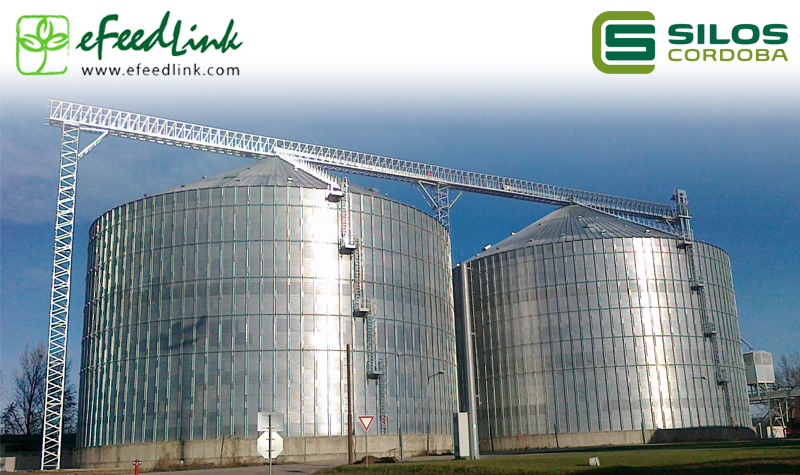 The feed milling industry has changed a lot since Silos Córdoba was established. This happened because of the new needs of the market such as better products that are able to speed up anual growth; the quality of products along with safety protocols; new laws regarding quality and control of the feed; and the learning process inside the feed mill industry. Silos Córdoba is confident that, by creating its own feed mill division, it allows us to not only offer our customers a bigger portfolio of products us also to fulfil existing needs which we could not meet previously. In market trend, more customers are looking for main contractors, which are able to cover all their needs – from plant conception to management to exploring design, engineering, and Project integration and management. Everything is handled by one single supplier. Unlike other companies, Silos Córdoba chooses to offer complete storage solutions. We are now able to design and supply everything related to storage process. Our comprehensive solutions are not only focused on silos but also on different stages of the grain storage including receiving, cleaning, drying, storing and dispatching. Since 2016, these apply to feed mills as well. All our solutions are of the highest quality, in order to deliver the reliability customers are looking for. Silos Cordoba’s synergy is based on a group of companies working together. The poultry division, handling equipment division, bulk storage division and feed mill division are the main pillars of this strategy. Thanks to the strategy, we are able to cover every demand and requirement. For coating – which is the outer layer of steel that protects against corrosion – we use Z-600 (G-210) as a standard for all our products. For customers demanding a higher quality, we have Magnelis, which has ZM310 as its maximum quality. Our engineering team is able to design silos according to different calculation standards like Eurocode, which is popular in Europe; ANSI, which we normally use in Asia, Africa and America; and DIN. In addition, we update our designs which are a step different from our competitors. For example, our ANSI design is based on version “2011” whereas our competitors tend to use lower version such as “2007” or “2003”. Lastly, another important factor i sour accessories such as overflow system, rotation sensors, anti-wear on bottom and sides, support legs, temperature sensors, inlets and outlets hoppers. How is the increasing emphasis on sustainable agriculture influencing the requirements for silos and handling equipment? How is Silos Córdoba meeting demands? I completely agree with sustainability. However, the requirements demanded are more focused on grain production and not storage plants although we are already emphasising the same aim. Where are the other major markets in Asia for Silos Córdoba’s silos and handling equipment? That said, markets change from year to year. Government aids, in term of financing, can also significantly affect the market. Therefore, companies like Silos Córdoba have to continually deal with this dynamic situation, which is why diversification and global presence are important in our strategy.